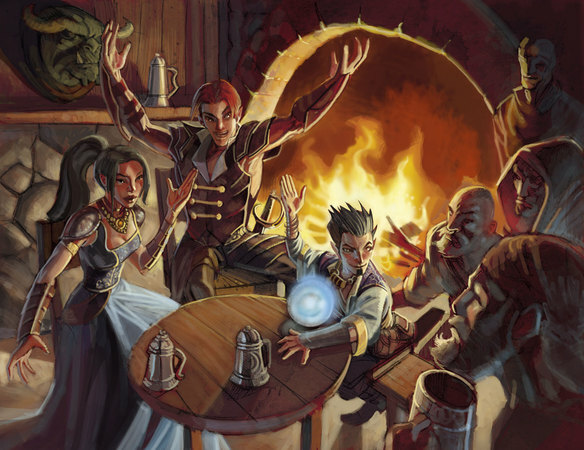 Before your first game, know your party, and know them well. As a newbie DM, it’s easy to get caught up in the things that seem important right before you start your campaign. Your maps, your minis, and your epic Tolkien-esque storyline all take up your undivided attention right before your first game. You are so caught up with what’s happening on your side of the screen, that you may be forgetting the most important part of the equation: the adventuring party on the other side of the screen. Remember that these guys are all there to be entertained by you, so you can’t neglect them nor go into the game not knowing who they are or what they are capable of. You need to study the party, learn what they are capable of, and design challenges that will give them a good run for their money. My suggestion to you is that if your guys are using the character builder to make their characters, they send you either the character builder file of their pc, or a PDF of the character sheet a night or two before your first session. Have them download a program called CutePDF, which installs on the pc as a virtual printer, allowing them to “print” directly to PDF. This way, you have the characters available to you at a glance via email, and you can begin customizing encounters based on their abilities. If you have a Rogue in your party for example, make sure you provide something in the adventure to make him feel essential. Locks, traps, a pickpocketing skill challenge to find a set of keys, anything made just for him. Do the same with your arcane characters, who are always going to want to roll their arcana checks everywhere they go, so make sure every now and then that roll actually provides the party with something useful. Players want to feel like they are contributing to the successes of the group, and its partially your responsibility to provide that feeling. Don’t be afraid to toss in a few xp points whenever a character conquers a specific challenge you’ve laid out for him, he’ll appreciate the challenge even more and feel good about his character. It may be a good idea to sit down with each individual player to get a sense of what type of character they want to be. Does Gentir want to be the typical rogue, sneaking around and opening traps, or is he more of a swashbuckler Han Solo-ish type? These conversations are good to have because now you know that the “rogue” in your party isn’t all that interested in playing his guy like a thief, at least not flavor-wise. You can then create situations that’ll fit his character concept better. And finally, another good thing to keep in mind as you are starting out in the lower levels is to let your players show off their shiny new abilities they’ve earned for themselves as they gain experience. Players love it when they can use their newest tricks, so make sure you provide a way to get them into the story. Nothing frustrates a player more than to have a particular skill or ability that never comes up in the game. 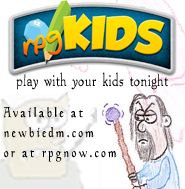 Remember, D&D is a collaborative game, and by keeping your players engaged, everyone has fun. Fear the Boot calls this the Group Template. In RPG theory this is known as the establishment of the social contract. Either way, it’s a great idea and can save a game even before it starts. It’s all too easy for a game to derail because a GM wants one style of play and the players expect another. Role-playing is collaborative first and foremost, but that sometimes gets forgotten. I really agree to what you write here, I’ve always tried to focus on letting each PC have at least one challenge that are for them. This is one strength in 4E, the “roles” are back. I’ve try to encourage my players to write down some kind of background and playing style so we both have some idea. The rogue example you give is an excellent example, the goes for the arcana folks. It this a fire lover who want nothing more that to learn fireball and BBQ minions, or is he the more subtle kind of “magic user”, that like to use ghost sound, like when the PC Wizard in one of my parties used ghost sound on a fish and tried to use it to convince the Paladin that his god will let him take all that loot from the dead merchant from the ambush the stepped into. Different playing styles requires different adventures, that is very true, and sometimes playing styles do clash with your plot or adventure, so this advice is really good. Thanks for this post. It is a great reminder of what the game can be. D&D is about so much more than a paladin beating someone to a pulp. Thanks again! What I found out that works is using a monster stat card for each PC. I just removed the attack and equipment section. What I’m left with is the important stuff a DM needs to know. Throw in the NPC suggestions from Mike Mearls latest skill challenge article (goals, key traits, motivation, weaknesses, fears)and you’ve got yourself a nice little cheat sheet. Great post! Not just for newbie DMs, but you present ideas that even more experienced DMs need to be reminded of from time to time. Just wanted to say that I cannot begin to say enough good things about CutePDF. I use it for work all the time. It is an excellent program and should be one of those “must downloads” like WinZIP used to be. I would have loved it if my players had generated their character in advance, sadly only two of the five did (Halfling Rogue and Dwarf Paladin), the others (Tiefling Warlock, Half-orc Barbarian and Elf Ranger) did not and I had to really wing-it to come up with some hooks that they would like. Luckily I have experience with that sort of thing. The next session will be much easier on me because I know more about each Player Character. I am going to do some stuff with their backgrounds (which involves a traveling circus). I am also going to use some of the excellent advice presented in the DM’s Guide 2 and let the players come up with stuff during the game. Since I am not using a set D&D world like i usually do, but rather the points-of-light setting, I am anxiously waiting to see what my players come up with.